GPShopper is the leading mobile commerce and engagement platform for retailers and brands that want to create custom app experiences for their customers. GPShopper’s native mobile app solutions and proprietary SDK empower retailers to drive customer engagement and loyalty through multiple touch points, both digitally and in-store, using technology to transform the total retail experience. This is all done with an unmatched degree of scalability and security. Some of the world’s biggest retailers are part of the GPShopper family, including Boohoo, Crate & Barrel, Foot Locker, Lands’ End, Lane Bryant, Michaels, Stance, Steve Madden, Tilly's and more. For more information about GPShopper, please visit http://www.gpshopper.com. 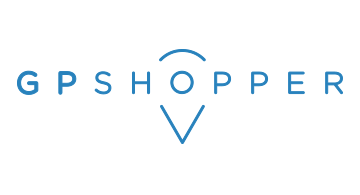 GPShopper’s apps and platform have been recognized as best-in-class by retail and technology leaders, winning awards from the National Retail Foundation (NRF), Direct Marketing Association (DMA), The Daveys, eTail, W3, The Webbys, AT&T and Intel for excellence in mobile innovation. Forbes recently named GPShopper one of Ten Companies Disrupting Their Industries with Technology. Learn more at www.gpshopper.com.